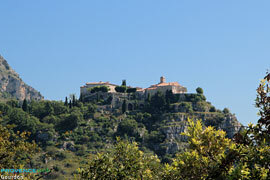 From the A8 motorway take the Cagnes sur Mer, exit on the RD 2085, then the D3. 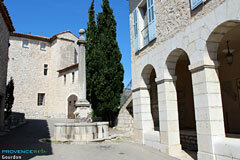 31 km from Cannes and 14 km from Grasse. Just getting to Gourdon is an adventure in itself. 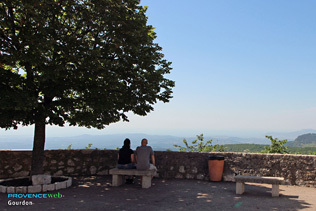 Take the road through the vertiginous Gorges du Loup, with 700 m high cliffs towering above you, and take the time to stop at the Saut du Loup waterfall for a refreshing breather in the summer. 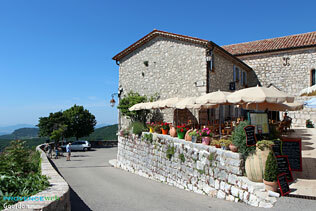 Then you'll passing through the hamlet of Pont du Loup, with its climate ideal for growing orange trees, olive trees and perfume plants, which is part of the Gourdon municipality. From there you might choose to walk up to Gourdon, taking the old "Chemin du Paradis" which used to be a mule track. Beware, it's a climb of more than 500 metres, but at the end of the road is paradise! 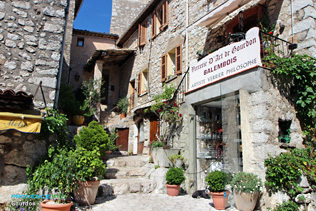 Alternatively the less energetic visitor may prefer to stay in their car and simply drive up to one of the most beautiful villages in the whole of France... which certainly also attracts more visitors than most villages on the Riviera. Gourdon is the archetype of a perched village, sitting like an eagle's nest at the end of a rocky spur, enjoying a truly exceptional panoramic view over more than 80 kilometres of coastline from Theoule sur mer and Nice. It also forms a remarkably harmonious ensemble of white stone-built medieval houses, nestling around the feudal castle, all of which are beautifully restored and maintained. Without a doubt, Gourdon has been the fortunate recipient of attentions from all the good fairies of Creation! The good fairies of commerce have been at work too, to judge by the number of craft shops that await the tourists: perfumes and soaps, honey, nougat, gingerbread, craft glassware and painting on silk, etc ! 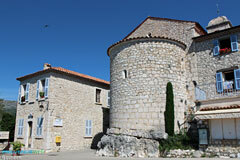 But the highlight of your visit to Gourdon will be castle. 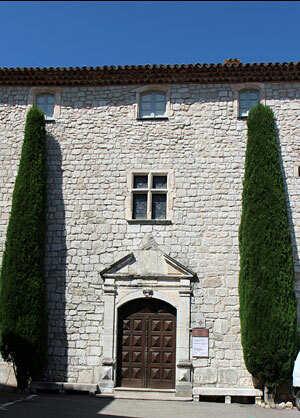 Originally owned by the Counts of Provence until the 13th century, the castle was then passed on to the Grasse-Bar, the Villeneuve-Flayosc and the Borriglione families in succession, almost all of whom where great noble families. Traces of each are still to be seen in this wonderfully preserved building. You'll admire its imposing round and square towers, its arrow slits and Renaissance entrance gate, its cobbled inner courtyard and well, its gargoyles and vaulted hallways, not forgetting its monumental 14th century fireplace. Inside, you can visit superb gardens laid out by Le Nôtre, Versailles' landscape gardener. The gardensare a true Eden, with their main terraces shaded by centuries' old limetrees. You will admire an Italian style garden and rock garden, as well as the apothecary's garden with its intermingling fragrances of angelicas, columbine, balsam and comfrey, lemon balm, old mints and roses, sage and tansy â€¦ medicinal plants used in the Middle Ages. After this wonderful journey into the past, you'll enjoy a return to reality, having lunch on the terrace with a breath-taking view of the entire Riviera. 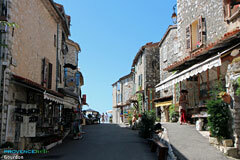 Then you'll understand why Gourdon is one of the villages that attracts the most visitors on the whole of the Riviera! the de St Vincent Chapel and the church ! 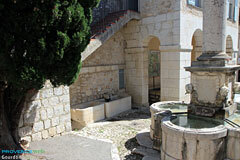 The garden of Castle, ramparts and windows, ancient gateways. the ramparts with openings for windows, the ancient portals. Church originally built in the 12th century, very extensively altered in the 17th century. 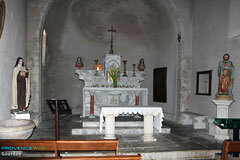 Chapels of Saint-Pons and Sainte-Ambroise. Remains of a Roman encampment with double surrounding wall and oppidum. Prehistoric caves at Garagai, on the Grasse road. Fortified rock shelter, in the fortress cliff. Walking and hiking (waymarked paths). including the Aven of Col de Cavillore (- 200 m) and the Bear cave with lake (- 130 m). Climbing, paragliding, tennis, trout fishing. 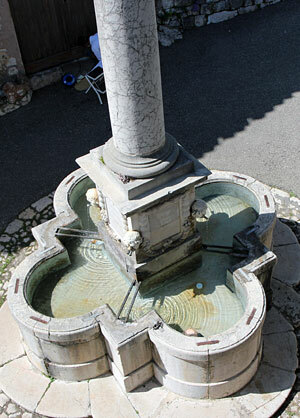 Cipières (12km), Bar Sur Loup (15km).